It’s early morning, 6 o’clock, mid of June, the sun is shining bright in the blue sky. Ole starts the engine of his boat, we are moving slowly out of the harbour with the opportunity to take photos in backlight situations of eagles and gulls. That’s the idea. 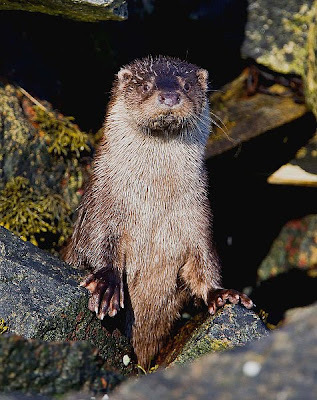 Suddenly he stops the motor before the bridge of Lauvsnes – OTTER: he is whispering. Everyone stops the moving in the boat and looks into the direction, Ole pointed out. Beside the pylon of the bridge in the dark water, the head of an otter is visible for one, two seconds. Then he dives – nothing to see. 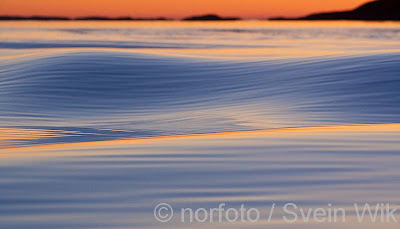 We are sitting in the boat, quietly, observing the area meter by meter – then again Ole is whispers: OTTER! : At the bank between rough stones. The otter’s head is looking curious at 40 meters distance between the stones to our boat. 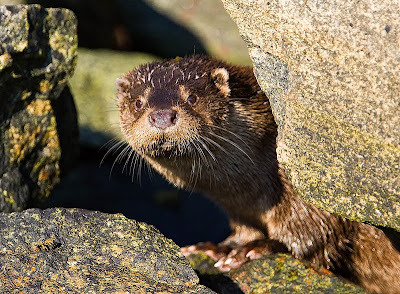 Ole starts the engine for two, three seconds, smoothly we are approach the bank – he stops the motor and we are drifting slowly between the pylons of the bridge directly to the place where the otter is…. 30 meters, 25 meters, 20 meters, 15 meters, 10 meters… the otter is observing us permanently, he moves slowly and curious between the stones in the bright sun and looks always to us… one, two, three minutes, it seems never-ending, the camera with the 300 mm lens is clicking, it seems that this noise is not interesting for the otter – then it’s enough for him, he takes a half fish out of his hide and disappears slowly between the stones into the dark water for a undisturbed otter breakfast. A unique experience! Awesome!! These are challenges which happens only one in life. 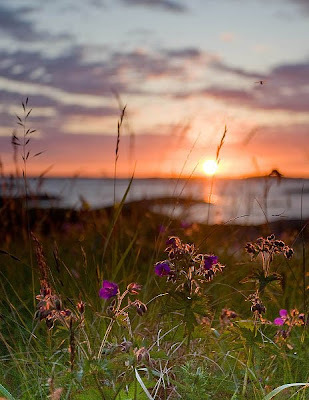 That’s Norway-nature from Ole. 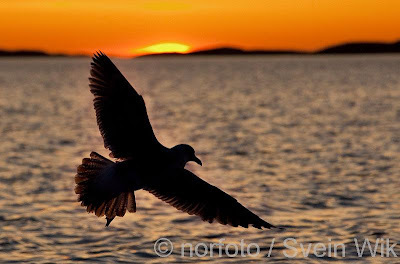 Thanks for that and for many other photographic adventures, like the eagle owls, Ole!! See you next year for more. Thank you for a wonderful stay. I have now visited you four times, and every visit has offered new experiences. 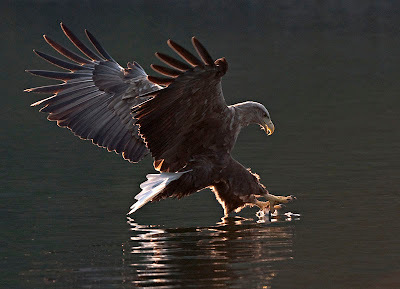 This time the capercaillier and the black grouse were the main topics, apart from, of course, your sea eagles, that resulted in photos where light and situations are close to perfection. 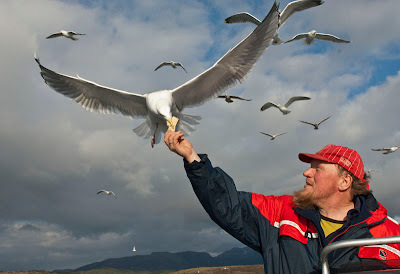 – also I should of course not forget the sea gulls. 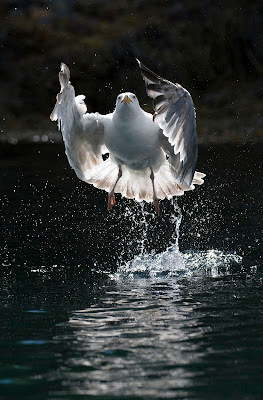 The wildlife, especially the spectacular White Tailed Sea Eagle, have for me never bean better than this spring of 2009. Mid May and perfect weather conditions gave us a lot of photography possibilities. The first evening we had about 30 eagle dives. That is overwhelming! We had almost the same number of dives the second evening. The only limit to success under such conditions is the photographer’s skills and willingness to work hard to get the special images. Nature and hospitality in perfect harmony. As a travel photographer I am used to movement and action. I was uncertain whether I could sit still for hours in a hide, waiting for something to happen. I could – and it was great! The silence and the perceptible proximity of nature made it an experience of the special art. 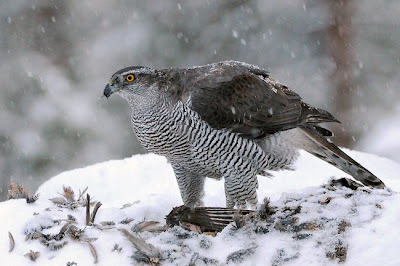 I will never forget the moment, when the Goshawk silently approached. He was very shy and carefully looked around before he started to feed on the bait. That was the long waited moment to start taking pictures. He stayed for about an hour, before he left. But there was also action. After a whole day without any visit of Eagles, we got rewarded the next day with a spectacular show of three fighting Eagles. It was an extremely fast event and lasted only a few seconds. 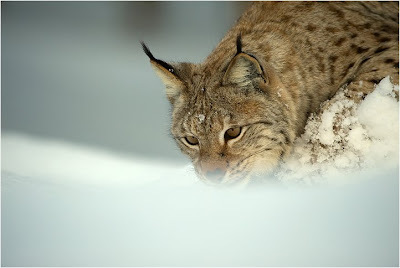 A visit to a natural park allowed us to photograph Lynx, Arctic Fox und Wolves in their natural environment. 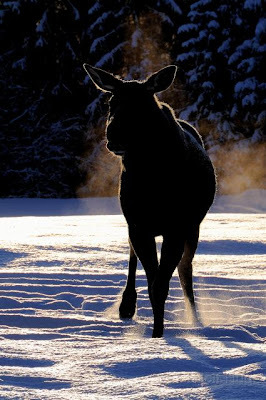 And on the way to the park we visited a hide in a clearing to photograph Moose. I will certainly return to this wonderful place, at which nature and hospitality are in perfect harmony. Thank you Ole Martin, for having made this wonderful experience possible! 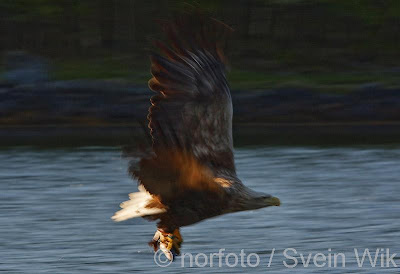 This was my first trip to Norway and to the realm of eagles and The Eagle Man Ole Martin Dahle. Yes there were times of bad light and too much falling snow, but what can you expect in February? To sit in Ole Martins eagle hide at the “first knockings” of daylight and hear the sound of an eagle calling just meters above your head is to be communing with nature on another level! For the first-time visitor, as I was, this was something of a heart-stopping moment; but nothing to compare with the visual spectacle I got when one of these awesome birds came in to feed, just a few meters in front of me. From the first day to the last I was privileged to photograph wild White-tailed and Golden Eagle in the beauty of their natural surroundings – in short, Ole Martin gave me a most unique opportunity – which, to be honest, is the “stuff” of a wildlife photographers dreams. 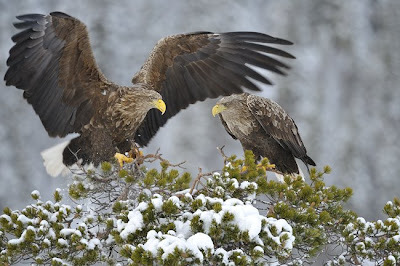 Wild eagles in wild Norway exhibiting natural behaviour – what else can I say except “Utrolig!!!”. After returning to the UK from my visit with Ole Martin Dahle the only question I ask myself is “When am I going back?”. Observing a golden eagle in the wild is probably one of the most rewarding experiences any nature lover could have in Europe. After working intensively with common cranes and white-tailed eagles for a number of years, I made up my mind to photograph the golden eagle. However, in the past, projects like this proved to be goals almost impossible to accomplish, or projects which would last for quite a number of years. Besides, in many parts of Europe, the photographing of rare species and the protection of rare species seem to contradict each other. 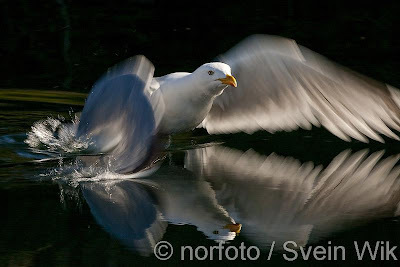 For me, as a nature photographer, it is vital that photos are made with the utmost respect for the nature I move in. Therefore, it is of great value to have people such as Ole-Martin as a guide, who, through painstaking and thorough preparations enables us photographers to make unique shots, which, in the past, would have been impossible for most photographers. 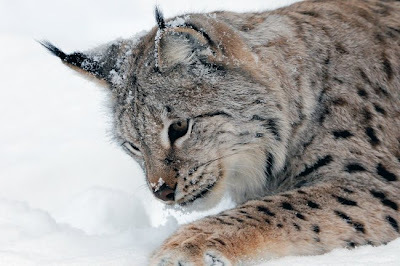 It is interesting to see and at the same time forward-looking that the free and intact nature is growing in significance and that the encounter between man and nature helps protecting the rare species. I’ve known Ole-Martin from when I worked on the white-tailed eagle project and I know that he cares for and respects nature. Like me he is fascinated by the eagle and is highly professional in his work. So, I decided to travel to the Norwegian winter in February to photograph the golden eagles in the deep snow of the mountains. 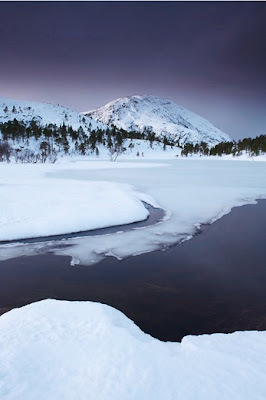 When the long winter descends upon the Norwegian mountains, days are growing cold and lonely. The countryside seems lifeless and it is quiet, very quiet. 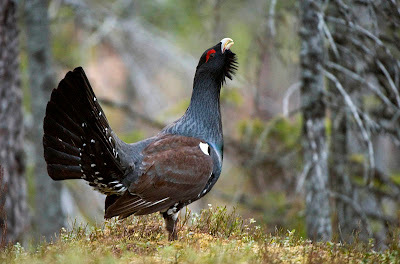 Most birds have moved in great flocks to the warmer regions of the south. 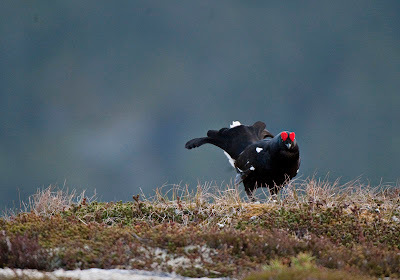 Crows and grouse are among the few who brave the cold. 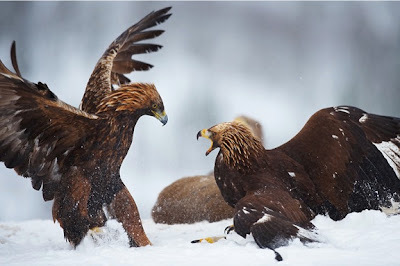 The sky covering the grand Norwegian mountains now belongs to the king of the skies – the golden eagle. 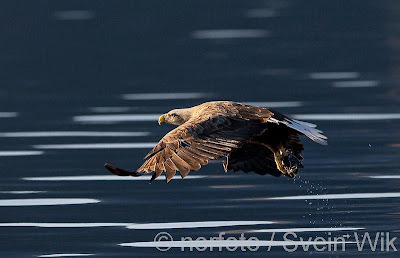 Now, towards the end of winter, the white-tailed eagle as well has moved from the fjords to the mountains. Photographing eagles also means being extremely patient. One hour before sunrise I move into my hideout. Everything is well prepared. The hideout offers quite a bit of room. I spend my days bundled up in a sleeping bag sitting on a reindeer skin. Outside it is cold. With strong winds and -10º C I am very grateful that my hideout is extremely well built and keeps out the fierce wind. We had placed bait only about 20 metres from our hideout, but the eagles are cautious and a lot of patience is required. 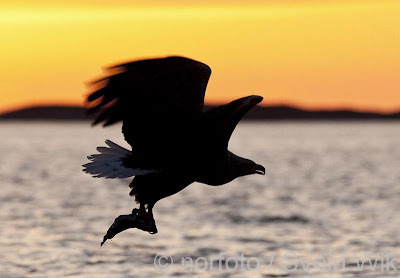 It paid off – I’ve waited 60 hours, and everyday I was able to photograph golden eagles. I’ll never forget, how, on this trip, I saw my first golden eagle, one metre above the ground, swooping down from the snow-covered mountain side like an arrow to land on a pine tree. From there he observed the territory for a few seconds – hours to me. But when the eagle appears within the viewfinder of my camera, I suddenly feel warm inside and time does not matter anymore. 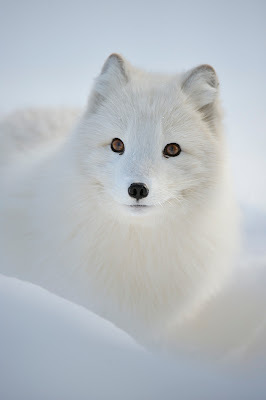 It isn’t only spectacular experiences like this that make a trip to wintry Flatanger worthwhile. The beautiful snowy landscape, the creeks, the ice and, finally, the fast starlit sky offer more than enough subjects for great photos. From 22-28 February I was one of the guests at Ole’s place. Of course I have been searching the Internet and asking people about their experiences but nothing could prepare me for all those things I saw, felt and captured. As soon as I entered the guesthouse I felt at home. My eyes were drawn emediatly to all those photography books signed by the author during their stay at the same place. I couldn’t wait to get in the hide the next day to see the eagles myself. First came the Raven and Hooded craws. 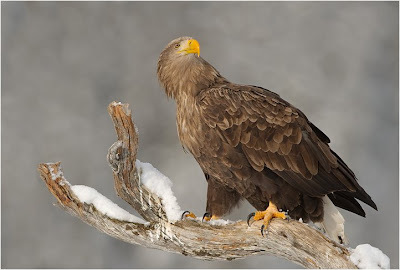 Not long after that I heard the first White-tailed Eagle screeming in the mountains. After half an hour he landed right at the bait. Beautiful!!!!! You almost forget to push that shutter button. This is the real thing, this is wildlife as it should be. These birds are even more beautiful than I thought they would be. I had it all. Golden Eagle, White-tailed eagle, Raven and Jays. All that in a beautiful setting and real snowstorms as well. Oh, I’m going back, that’s for sure. I just want to thank Ole for his great help and understanding what nature photographers want. And that’s a lot, but I’m not lying when I say that Ole is a professional and very very helpful. I was lucky enough to spend four days in one of Ole-Martin’s Golden Eagle hides. Even though I have visited Norway two times in the summer, it’s even more beautiful in the winter. 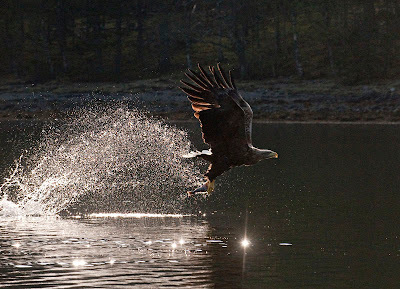 Ole-Martin really has located an amazing place in the mountains for photographing the Eagles. He has thought of everything – a nice background, real bait (not dead pigs from farms or meat from the shop) and a comfortable hide. The first day in the hide was the most stunning. The night before it had snowed very hard so everything was covered in pristine white snow. The background was excellent and we were lucky with the light and the birds as well. 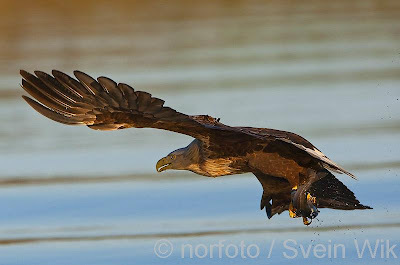 Five adult or sub-adult Golden Eagles visited the bait as did two adult Sea Eagles and one young Sea Eagle. When such a crowd visits a single bait, there is bound to be some fighting. Every day we had three or four serious fights. Only the last day was quiet. What I also liked was the absence of Ravens that usually ruin some shots. All the days we only had two crows. But they only dared to eat if a Sea Eagle was eating. 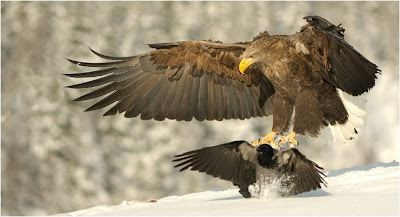 The Golden Eagle is the king and likes to keep the food for itself. Only on the last day, when an adult Golden Eagle fed alone for hours, the crows were driven by hunger to overcome their fears and started nibbling at the Roe Deer carcass. The Golden Eagle sticked immediately. It was a funny display, which also made for some exciting pictures. I arrived the hide in very nice winter weather, stars looking down from the dark and my eyes looking out the small window waiting for light and something to happen. 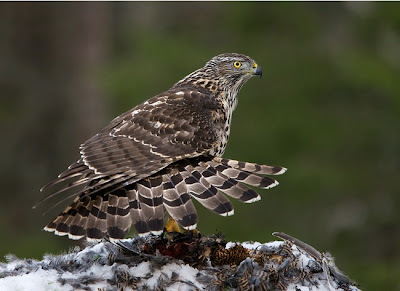 At about 0830 a beautiful young hawk landed on the bird that was put out in front of the hide. It stayed on the pray more than five hours! 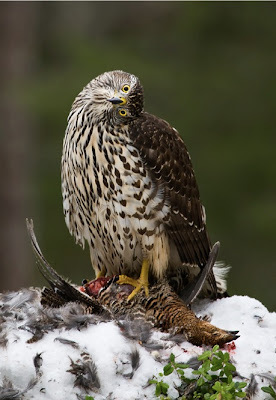 During the time it was sitting there a adult male goshawk came by many times, but it just sat in the trees and screamed to the young bird. It was a incredible movement and nature-life outside. While the two hawks was visiting it was two squirrels and a lot of birds on the feeding-station. A real adventure in front of my lens.